A funding partnership among seven prestigious universities – including the University of Chicago – are awarding nearly $300,000 to scientists working on collaborative research among their institutes that will explore widely-ranging health concerns, from creating tumor-destroying viruses to decreasing the large numbers of mentally ill in the criminal justice system. 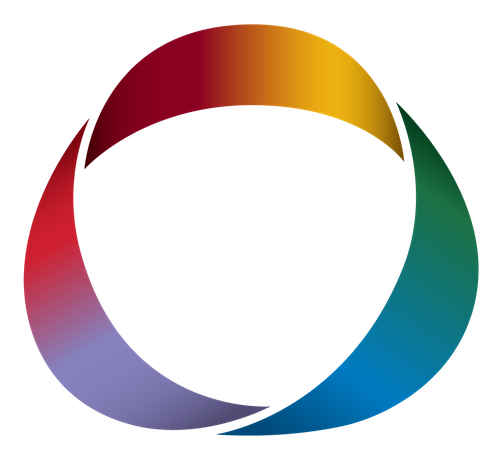 The Sharing Partnership for Innovative Research in Translation (SPIRiT) consortium has offered this funding of research since 2012, awarding more than $1 million to 12 collaboration projects. 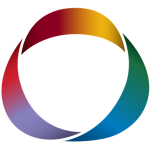 The SPIRiT consortium is made up of six National Institutes of Health (NIH) Clinical and Translational Science Awards (CTSA) Programs, including the Johns Hopkins University Institute for Clinical and Translational Research, the University of Pennsylvania Institute for Translational Medicine and Therapeutics, the University of Pittsburgh Clinical and Translational Science Institute, the Washington University in St. Louis Institute of Clinical and Translational Sciences, the Yale University Center for Clinical Investigation, and the Institute for Translational Medicine (ITM), a partnership between the University of Chicago and Rush. The six awards for 2017 include the projects below. UChicago’s Matthew Epperson, PhD, and Sliman Bensmaia, PhD, are among the award winners. Almost 1.5 million inmates have a substance abuse disorder, and more than 375,000 people with a serious mental illness are incarcerated every day, according to research from Washington University in St. Louis. Research shows that prisons and jails are often unable to adequately treat these people, and the communities they return to are likewise unable to meet their needs. UChicago’s Matthew Epperson, PhD, along with Washington University’s Carrie Pettus-Davis, PhD, are working to help keep the mentally ill out of the criminal justice system in Chicago and St. Louis. Their project will build a social capacity framework, or a model that allows these cities to develop collaborative, practical, sustainable solutions to their local problems. Communities often lack the coordination and resources for successful behavioral health interventions, according to Pettus-Davis. This project’s system will bring together the expertise of local community health, behavioral health, and criminal justice professionals to create holistic programs, rather than having each entity working independently on less-comprehensive interventions. Using focus groups to gather observations and data about the city’s policies, practices, resources, and needs, Epperson and Pettus-Davis will customize a model that enables communities to effectively treat people with behavioral health problems. They will measure how this reduces the rates of the mentally ill and substance abusers in the criminal justice system. Learn more and connect with Matthew Epperson and Carrie Pettus-Davis at mepperson@uchicago.edu and cpettusdavis@wustl.edu. Approximately 270,000 Americans suffer from spinal cord injuries, according to the National Spinal Cord Injury Statistical Center. These injuries can cause paralysis, loss of sensation, and more, according to the World Health Organization. These injuries diminish patients’ quality of life and make it difficult to move, feel, and live independently – and there is no treatment that can repair a damaged spinal cord. 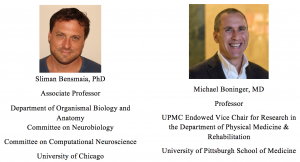 UChicago’s Sliman Bensmaia, PhD, and University of Pittsburgh’s Michael Boninger, MD, are working to help give these paralyzed patients control over their natural or artificial limbs with the use of sophisticated brain implants. They will create the future of brain-computer interfaces, or devices that turn commands from the brain into impulses that allow a patient to control and feel touch with their prosthetic limb. This will build on Bensmaia’s leading work in sensory encoding and Boninger’s team’s breakthroughs with motor control. Using advanced imaging techniques, Bensmaia, Boninger and teams from UChicago and Pitt will map brain activity to better understand how the brain controls movement and uses sensation. These insights will help them develop a brain implant that better allows patients to control and receive sensory feedback through their artificial limbs, regaining movement and touch. And the technology has the potential to move beyond people with spinal cord injuries. The more than 400,000 people who suffer from multiple sclerosis (MS), more than 15,000 people with amyotrophic lateral sclerosis (ALS), and the thousands of others with amputations, muscular dystrophy, and more could take advantage of their findings. Learn more and connect with Sliman Bensmaia and Michael Boninger at sliman@uchicago.edu and boninger@pitt.edu. Every year, about 735,000 Americans have a heart attack, according to the Centers for Disease Control and Prevention (CDC). Heart attacks can cause damage to parts of the heart, and often result in changes to the size, shape, structure, and function of the heart that can cause heart failure or even death. 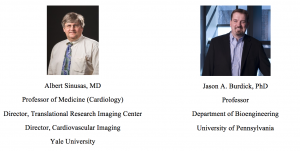 Yale’s Albert Sinusas, MD, and University of Pennsylvania’s Jason Burdick, PhD, are developing a new, non-invasive treatment to help limit this post-heart attack damage. Most existing treatments are not all successful at limiting the damage. They are often invasive and require injections or drugs that have unpleasant side effects. Sinusas’ and Burdick’s treatment harnesses injury-healing proteins in the body to prevent the post-heart attack damage. Their non-invasive procedure uses SPECT/CT scanners to localize the area of enzyme activation and guide the delivery of bio-responsive therapeutic proteins in the damaged area of the heart and then monitor the impact. This image-guided treatment could provide a safer, more comfortable alternative to existing options – and it could potentially scale beyond heart attacks to create a new method of delivering medicine. Learn more and connect with Albert Sinusas and Jason Burdick at albert.sinusas@yale.edu and burdick2@seas.upenn.edu. More than 14 million Americans suffer from cancer, according to the National Cancer Institute. For some patients, cancer metastasizes, or spreads to other parts of the body. Metastatic cancer can be treated with chemotherapy, radiation, injections, and more, but the spreading cancer can be hard to control and even deadly. 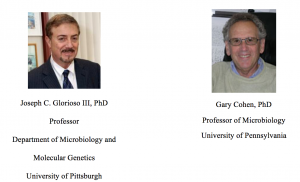 University of Pittsburgh’s Joseph Glorioso, PhD, and University of Pennsylvania’s Gary Cohen, PhD, are targeting these metastatic cancer tumors with a new weapon: herpes. Viruses have been used to treat tumors before by causing the body to attack foreign invaders. But these viruses can fall short when the body creates antibodies—or immune system cells that fight viruses – that move in to destroy the virus, which can stop the process before it reaches the tumors. Glorioso and Cohen will work to create a breakthrough herpes virus that specifically targets tumors and is highly-resistant to antibodies. This would help treat patients’ tumors more effectively and safely than existing treatments, which often have unpleasant side effects like nausea, fatigue, hair loss, and more. Learn more and connect with Joseph Glorioso and Gary Cohen at glorioso@pitt.edu and ghc@dental.upenn.edu. Nearly 36 million people have gotten the flu since 2010, according to the Centers for Disease Control and Prevention (CDC). Though vaccines are the best way to control a flu epidemic, the 2016-2017 flu vaccine strains did not prevent as many cases of the flu as usual. Washington University’s Ali Ellebedy, PhD, and University of Pennsylvania’s Scott Hensley, PhD, want to figure out why this year’s vaccines were less effective and use these findings to create better vaccines for flu seasons to come. Most types of flu vaccines are produced in hens’ eggs before being turned into the shots you get at the doctor’s office. But Ellebedy and Hensley suspect that this very technique is what made the 2016-2017 vaccine less effective. When vaccine strains are grown in eggs, substitutes for amino acids—or the molecules that form proteins—can occur, changing the structure of the vaccine strains that cause the immune system to make antibodies against it. Ellebedy and Hensley believe that this makes it easier for the flu viruses to escape the immune system’s responses triggered by current vaccines. They will test this hypothesis and determine the impact that eggs’ adaptation has on how well the flu vaccine works. Their findings could help improve our flu vaccines and help prevent infection by new flu viruses. Learn more and connect with Ali Ellebedy and Scott Hensley at ellebedy@wustl.edu and hensley@mail.med.upenn.edu. Millions of Americans suffer from psychotic disorders, including about 3.5 million with schizophrenia and more than 8 million with bipolar disorder, according to the National Institute of Mental Health. These conditions can cause mood swings, delusions, anxiety, and suicidal thoughts. Oftentimes, these patients receive diagnoses and treatment plans based solely on their symptoms, without taking a look at the biology behind their illness, according to Godfrey Pearlson, MD, MBBS, of Yale. Pearlson, along with Johns Hopkins University’s Russell Margolis, MD, will study the biology behind psychotic disorders and share that new information to help doctors give more accurate diagnoses based on more than symptoms. Their project will investigate the neurobiological basis of Biotypes, or distinct groups used to classify patients with psychosis based on their biology. A collaborative group that includes Yale has classified a series of patients based on this approach. Pearlson and Margolis will now use several new, sophisticated types of MRI brain imaging uniquely available at Johns Hopkins to understand more about the specific brain alterations associated with each of these Biotypes. Understanding the brain basis of Biotypes could affect patients at both the diagnosis and treatment stages. A better knowledge of the biological brain activity changes underlying a psychotic disorder could redefine what we know about the cause of that illness and, in turn, how doctors classify a patient’s illness. It could also allow for new treatments that address the biology of the condition instead of just treating the symptoms. Learn more and connect with Godfrey Pearlson and Russell Margolis at godfrey.pearlson@yale.edu and rmargoli@jhmi.edu. Learn more about SPIRiT Award funding here. the application will be published in fall of 2018. Contact ITM Communications Director Sara Serritella for more information at serritella@uchicago.edu.